Look for the logos to identify Bleacher Boy as it grows to the next level. Special thanks to my graphic designer, Andrea Stern, and to those who responded so enthusiastically!!! September 7th, 2016 Leave a comment	MLB Today	David S.
Tim Tebow Comes Out Of Retirement…For The MLB! Former NFL QB and Heisman winner, Tim Tebow, has decided to pursue a career in professional baseball. This is completely SERIOUS. So serious that he plans to hold a workout for MLB teams later this month and he’s been reportedly training over the past year in Arizona to refine his skills since he last played as a junior in high school in 2005. 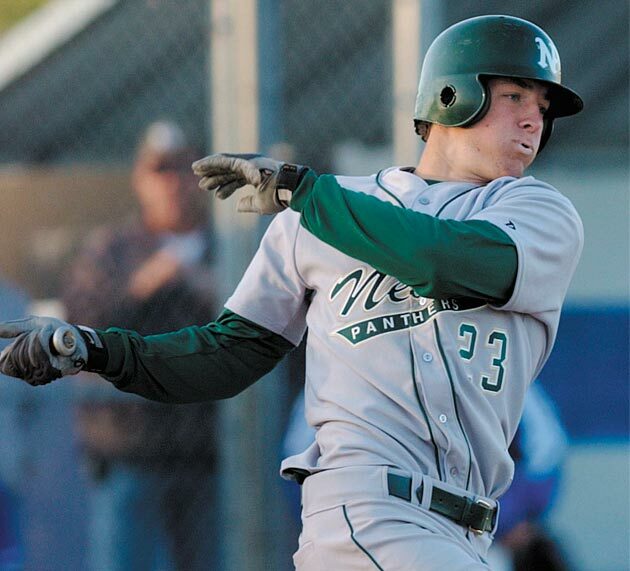 At Nease High School, Tim Tebow was an all-state baseball player who raked .494. Below is Tebow pictured in high school. Mark DeRosa jokingly said on MLB Network that he swings like Mark Teixeira. After this @MLB season I'm going try out for the @NFL this offseason. I haven't played since HS but I've played in a few TurkeyBowls since!! Tim Tebow will continue to be ridiculed for his choice, but that won’t stop him. He’s dealt with media crap his whole career. Tim Tebow is the role model every kid should strive to be. He is incredibly hard working, committed and persistent as well as a fantastic all around man. I am rooting for him to make it. Is it likely? Odds are against him but anything is possible and I would love nothing more than to see Tebow prove everyone wrong! August 9th, 2016 Leave a comment	MLB Today	David S.
Northwoods League HR Derby Makes A Big Splash! 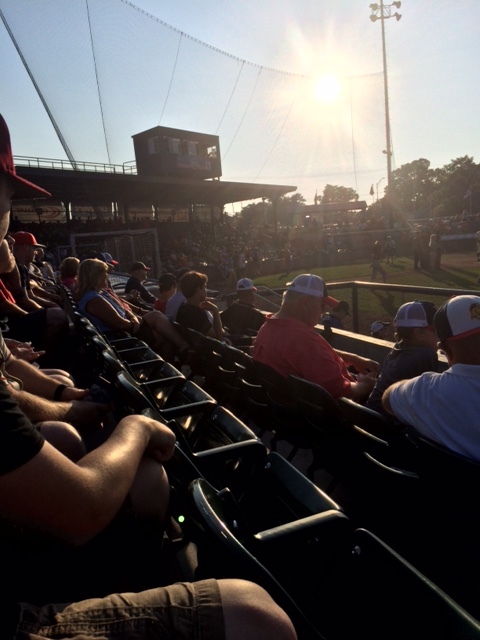 The Northwoods League, an elite collegiate summer league, had their All-Star Week festivities down in Kenosha, WI where the Kenosha Kingfish play. The week started off with a home run derby, but this was no ordinary derby. 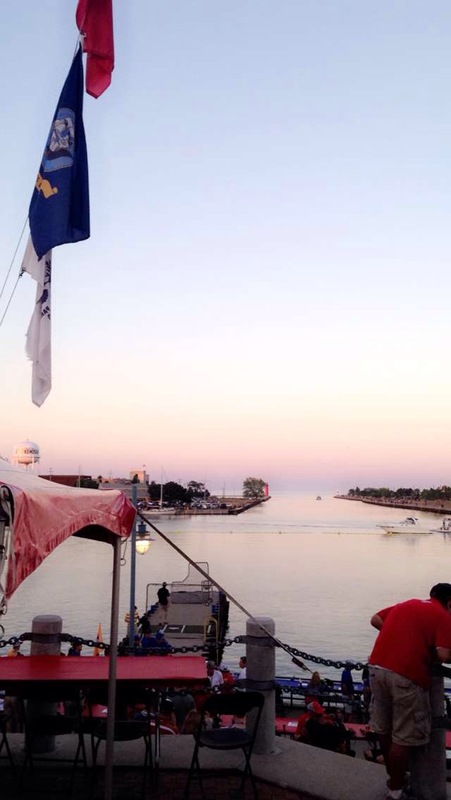 The players were launching balls off a pier into Lake Michigan over a fence constructed of buoys! 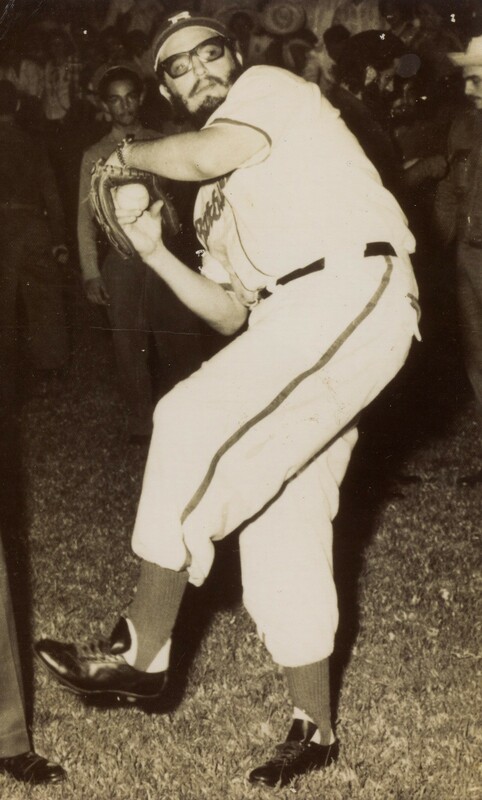 The hosting Kenosha Kingfish had their man, Marty Bechina (who plays for Michigan State), win the derby after blasting 6 dingers into Lake Michigan. I was lucky enough to attend both the home run derby and All-Star Game, and man it was an exciting two days. 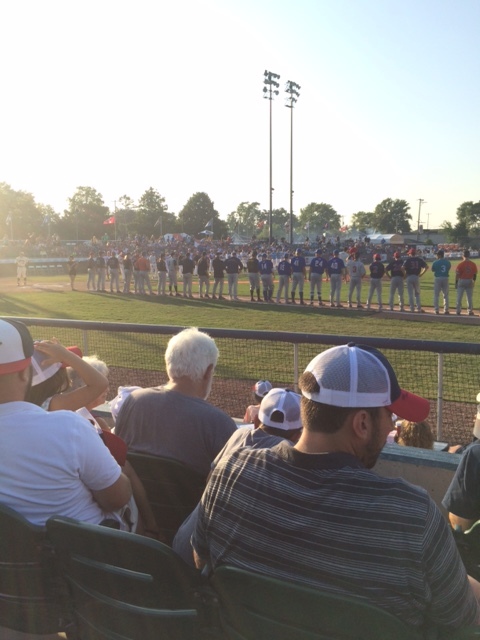 The Kenosha Kingfish hit it out of the park (and into the lake) while hosting the All-Star events. Panorama of where I was seated for the derby. View of where the hitting was done off the pier. After the derby on Monday, the All-Star Game was Tuesday at Historic Simmons Field in Kenosha, WI between the North and South Divison. The game got out to a rocky start after the North Division put on 7 runs in the first inning which included many errors (9 total in the game). After a rough first inning, it was very good baseball from there on out. The North Divison won 9-5 and both teams racked up 14 hits a piece. It may not be Major League baseball, but this event was a lot of fun! Get out there and support your local baseball teams! July 20th, 2016 Leave a comment	MLB Today	David S.
Watch as MLB stars talk about their favorite and least favorite uniforms around the league! My favorite uniforms are the retro 1982 Brewers look and my least favorite uniforms are the current Miami Marlins! What are your favorite and least favorite uniforms in the MLB? July 15th, 2016 3 Comments	MLB Today	David S.
The annual All-Star Game rosters are out and the fickle fan vote has resulted in some poor choices once AGAIN! I actually really like how the AL votes panned out. I agree with most main starters that the fans picked here. Miggy could very well be starting over Hosmer at first, but Hosmer has been incredible. Many may be fuming over the fact that Astros SS Carlos Correa isn’t in the game, but Xander Bogaerts and Francisco Lindor have been two of the best players in the game. The AL SS position is incredibly strong and Correa simply has not been as good as the two that are in the game. It’s great to see Red Sox knuckleballer Steven Wright (2.68 ERA) deservedly make the roster. Although I thought the fans did a good job with the AL, it is embarrassing for the NL showing. The entire Cubs infield starting is ridiculous. Don’t me wrong, I am a Brewers fan but I am not being biased here because some facts and stats offer up some better some options. 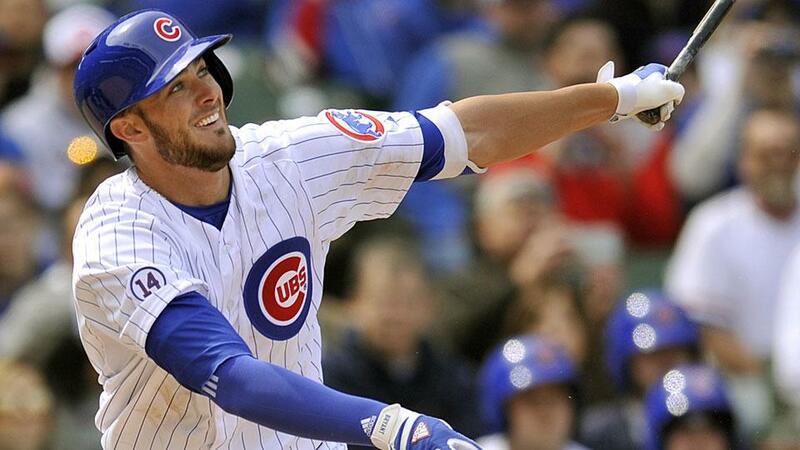 Anthony Rizzo and Kris Bryant deserve to start, they are some of the best in the league. Addison Russell starting…you gotta be kidding me! He’s hitting .242/.337/.418 with an OPS of .754 and 11 home runs. The fans voted him to start over Corey Seager! Seager is hitting .303/.363/.537 with an OPS of .900 and 17 home runs. Seager is a reserve and is currently the BEST shortstop in the NL and beats Russell in almost EVERY WAY! By no means is Russell a bad player, but there’s not a chance in the world he should be starting. Trevor Story (.257/.324/.530 with an .854 OPS and 19 home runs) is a final vote candidate so he may make it, but he could have been on the team easily over Russell The slick fielding and most underrated player in baseball, Brandon Crawford (.271/.344/.425 with an OPS of .769 and 8 home runs) would have been a better choice too. It is impossible to say Russell is the top NL SS. Second baseman, Ben Zorbist, has been stellar this year, but starting over reserve Daniel Murphy….c’mon. 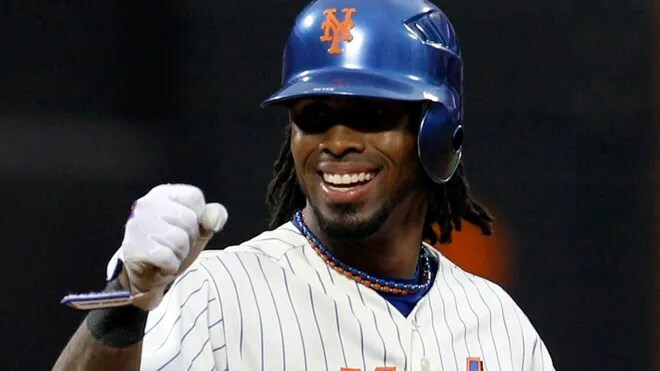 Zorbist is hitting .291/.399/.474 with an OPS of .873 and 12 bombs while Murphy has arguably been the best hitter in baseball and is leading the league in hits (101) and average with .345/.384/.574 and an OPS of .957 and 14 home runs. Zorbist should be the reserve here. Love em or hate em, Ryan Braun (final vote candidate) should have been a sure thing starter for the All-Star Game. He could still get in the game, but it is absurd he isn’t starting. 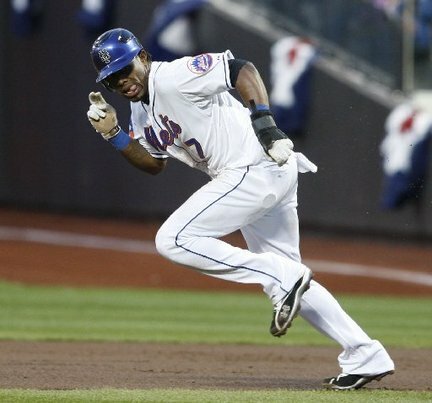 He leads all NL outfielders in batting average and is slashing .322/.378/.533 and an OPS of .912 and 13 dingers. He’s arguably also been the best outfielder in the NL and more than deserving for an All-Star spot. It makes total sense that fans may not vote for Braun because of the PED cloud hanging over his head, which is a big reason why the fan vote itself needs to end because this game matters. The MLB All-Star Game winner’s league earns World Series home field advantage which is huge. Baseball’s “best” is not being truly represented by the fans for a game of significant value. I think most Cubs fans would agree they would rather have Seager up to win the game than Russell. Teams should have full control of their World Series destinies, including who has home field advantage and not let fans put that in otherplayers hands. The MLB needs to do one or the other: take away the fan vote or take the value from the game. July 7th, 2016 1 Comment	MLB Today	David S.